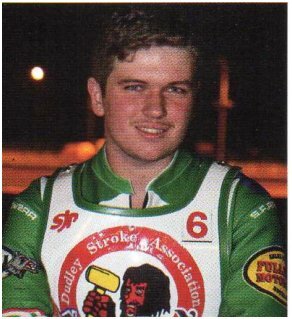 Bradley was the first rider to sign for the Heathens for 2016. He came with a good pedigree with his grandfather Bob being a Heathen from 1968 to 1972. He also came with a British passport and the will to do his family proud. He had a six week tour of the UK in 2012 with Jason Bunyan and put himself in the shop window here. With so little experience from his native New Zealand he was always going to find it tough and he did. He plodded on until May at Coventry when he damaged his leg and was on the sidelines for a few weeks. 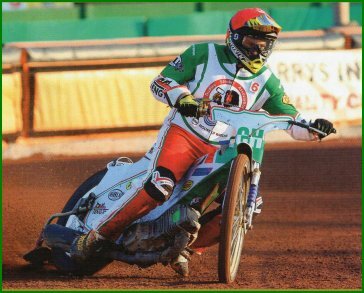 He came back for a few more weeks but Will Pottinger dropped him from the team in favour of Layne Cupitt, this seemed to be a bit of a kick up the backside for Bradley and he came back a much better rider. He had been getting rides in the MDL and getting much needed experience. Bradley's best score was on 3rd July against Rye House when he scored ten and three bonus! His scores had improved and supporters voted him 'Most improved Rider of the Year'.